You know the trouble with birthdays? The come around every year! And every year, no matter what, it never seems to get easier to find someone the perfect gift! Even if you know them better than anyone else in the world, it can still be a challenge. This is made even more difficult by the fact that you could well need to find something that isn't going to cost you an arm or a leg. I'm sure you'd love to get them a solid gold statue of themselves, but it's not really possible for most of us! But don't worry, there are ways to find the ideal gift, you've just got to be willing to get creative! 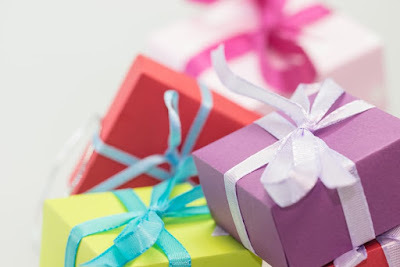 With that in mind, here are three ways that you can find someone the perfect birthday gift while on a budget. One of the main reasons people have so much trouble finding the right gifts is that they always look in the same boring places. The same big chain stores and the same online retailers. And that's fine if you're looking for something obvious. But if you want something more unusual and unique then you'll need to start looking in some slightly more unusual places. A lot of people are nervous about buying from thrift stores because they don't want to be seen to be cheap. But thrift stores can often have some amazing, borderline antique gifts that you'd never find anywhere else. And they're often pretty cheap too. If you're shopping online then try to do the same. Find smaller independent companies to buy from. You should make sure to look internationally as well. Companies like Skypax offer a forwarding service that allows you to purchase items even when the seller doesn't ship internationally. Now, don't worry. You don't need to be particularly crafty or artistic to make something that you can give as a wonderful gift. The internet is filled with ideas for simple and easy projects that make incredibly thoughtful presents. Why not create a photo collage of time that you've spent together. Or find an old wooden box and fill it with mementos, letters, and inside jokes; anything that has meaning to the both of you! Whoever you give it to is sure to feel just how much love and thought went into it. Sometimes a present does need to be a physical item at all. Why not give them an experience instead? It could be a trip to a play they've always wanted to see, or it could even be something as simple as setting up a scavenger hunt in your local woods. In fact, you could even combine this with the previous suggestion. Leave them clues that will lead them to different hidden mementos of your lives. Each one can contain a clue to where the next one is hidden. That way they get a thoughtful gift and they receive it in a way that they're going to remember forever.